I think that the CEDRIC philosophy works because it is based on good common sense. Our February theme for the Blog and Newsletter is ‘relationships' and in keeping with this all important theme I'm addressing an important relationship with myself . It is vital for us to build a sound relationship with ourselves as well as looking at our relationships with others. Here is a bit of sharing about how I have dealt with my relationship with myself where my 'inner critic' or 'drill sergeant' is concerned. The one component of CEDRIC teachings that rings most true with me at this part of my process is the ‘drill sergeant'. The negative voice that used to taunt me constantly when I was in my weakest hours is quieter now that I have done the work that is necessary to allow myself more nurturing and respect from within, but the change required some effort. That endless negative commentary in the back of our heads wants us to think that it is echoing the conclusions of all who you come in contact with. If you are a person given to worrying about what other's think, it can really get a good hold of your psyche and be leveling when it comes to our trying to remain strong and grounded and take good care of ourselves. 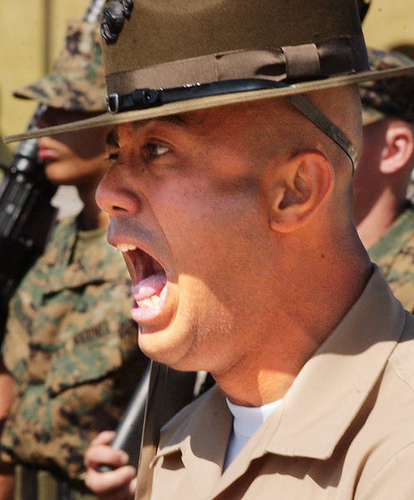 Core Beliefs and the Drill Sergeant - What a relationship there!